At PulseLearning, our Change Management consultants will work with you to ensure the change management strategy and plan is documented and aligned to the identified business objectives and performance goals. Change management strategies can be applied to any type of organizational transformation, including departmental mergers, the implementation of new technology systems, and professional development. If change is forced, problems quickly arise. Organizations must be realistic about the change process, ensuring it is achievable and measurable. Before implementing any organizational change, PulseLearning encourages its Clients to ask themselves what exactly it is they wish to achieve, why, and how they intend to communicate this change. Clients also need to consider who will be affected by the changes and how each stakeholder group will react to it. Throughout the change management process, we ensure that a structure is in place to measure the business impact of the changes and that continued reinforcement opportunities exist to build proficiencies. Best practice suggests that is it best to build a support structure that reinforces and supports all the organization’s key stakeholders throughout the organizational change, focusing on proficiency of behaviors and the technical skills needed to achieve desired business results. We have developed a set of recommended best practices to ensure our Clients attain the highest level of adoption when implementing organization changes. 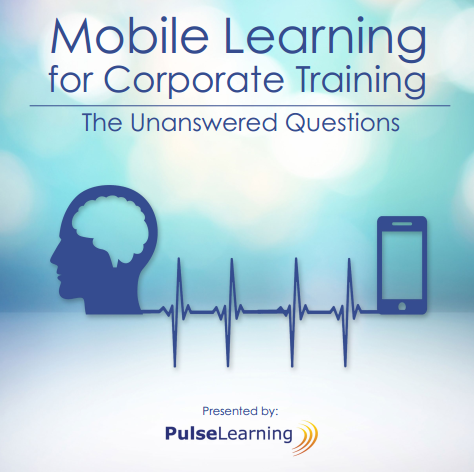 PulseLearning works across all sectors including Technology, Hospitality, Retail, and Health. CA Technologies and Aspen Grove Solutions are among our Clients who have used our change management service. Another Client engaged us to source and deploy a new Learning Management System (LMS) to replace a previous one. This is a project that required careful analysis because inherent to any new learning environment is the need to remain focused on meeting your business objectives. What is 2 + 4 ?